Marcia St. Martin|! !| Barbara Barnes|! !| Edgar Veillon|! !| Patricia Meadowcroft|! 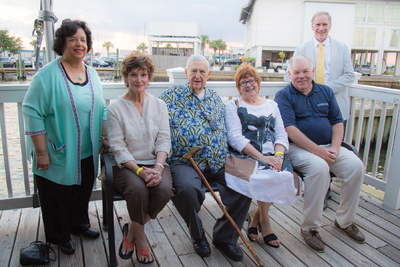 !| John Kinabrew and Randy Waesche attended the Lake Pontchartrain annual “History Trolley Tour|! !|” an event that raises awareness of the lake and basin’s history.